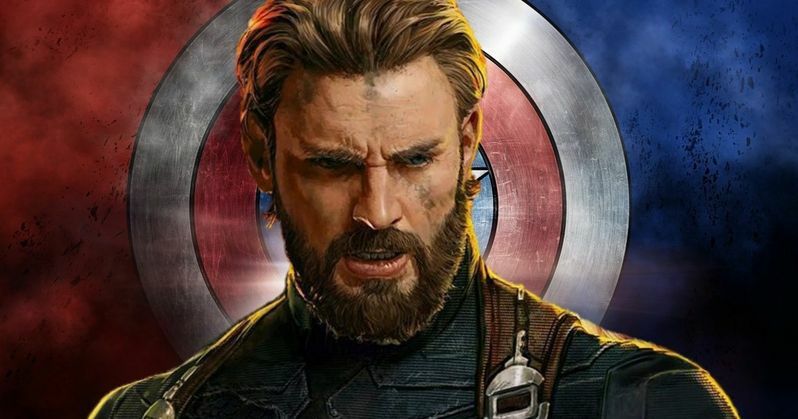 There are plenty of Easter Eggs to find in Avengers: Infinity War, and Captain America's phone number was supposed to be one of them. You can clearly see the phone number in the flip phone that Steve Rogers gave to Tony Stark at the end of Civil War, when Bruce Banner picks it up. The number is 678-136-7092, which is an Atlanta based number where most of the production for Infinity War and the upcoming Avengers 4 took place. As it turns out, the Russo Brothers had the number set up for a viral marketing campaign, but Disney's legal team said no to this cool Captain America Easter egg. After Infinity War hit theaters, several Marvel Cinematic Universe devotees copied down Steve Rogers' digits to call after the movie. However, the line was disconnected. When people found out that the number was a real phone number, confusion started to spread. Why not just use the normal 555 prefix like most movies and TV shows use? In a recent interview, the Russo Brothers admit that they set up the phone number with the intention of fans calling it and receiving the voicemail of Steve Rogers. Joe Russo explains. "We actually had intended to create a fake voicemail from Steve Rogers. For the people that left the theater and called that number, they would get a voicemail from Steve Rogers." The idea that fans could have called and left a message on Steve Rogers' voicemail would have been a pretty awesome idea. One can even imagine using some of the best messages in a latter part of the Infinity War promotional campaign or even bonus features on the Blu-ray. It was all set up and ready to go, but Disney's legal team intervened and shot the idea down at the last minute. Anthony Russo says. "And that number was the actual number that we were going to use. We were sort of given that number. We had it all ready to go, but legal took that away from us." It's unclear why Disney took away the use of Steve Rogers' voicemail, but they must have had a good reason for it. It might have been something that hackers were easily able to get into and use for nefarious purposes, which could've been expensive to set up a security defense system for a viral Easter Egg. At the very least, it's cool to see a phone number in a major motion picture as big as Infinity War with a real number instead of the normal 555 prefix. Infinity War is still in theaters and getting closer and closer to the $2 billion club at the worldwide box office. Maybe if they had Steve Rogers' real voicemail set up, they'd already be at the $2 billion mark by now. We'll never know. The sights have been firmly on Avengers 4 anyway, so maybe that phone number will pop up again with a working voicemail. You can read more of the interview with the Russo Brothers at Mashable.